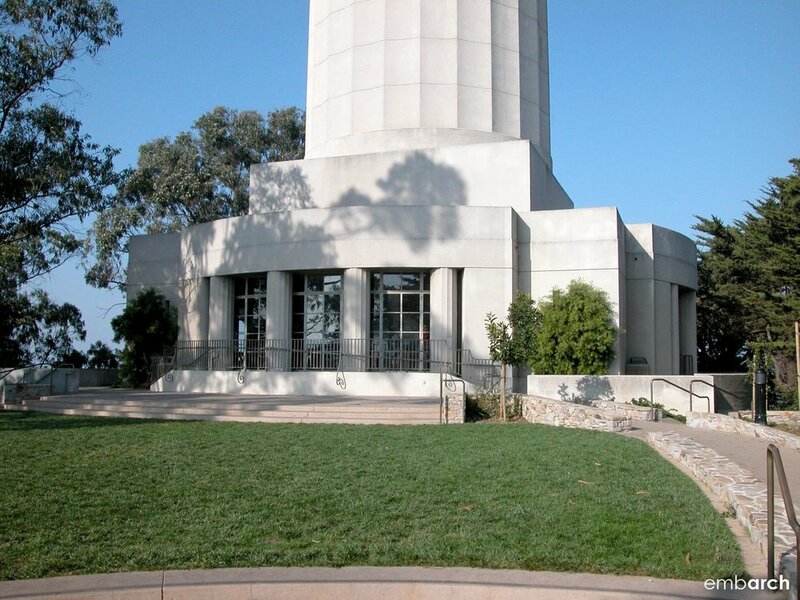 Coit Tower was built with funds bequeathed by wealthy socialite Lillie Hitchcock Coit for the beautification of the city. Officially a memorial, the concrete structure functions as a destination spot within the city, affording views of San Francisco from its top and showcasing a collection of New Deal era murals within its interior. Public spaces are mostly housed within a base that is embellished by colonnades along its sides but is more reminiscent of Egyptian temple pylons at its main entrance. Like the columns along its base, the shaft of the tower is fluted. Stacked arcades at the top complete the composition.